The last two post have been about finding pictures to help envision my characters. I posted several pictures to help me create a compost of both Dan and Isabella. There is one more important character I needed to get a clearer picture of his appearance. My hero Dan Sweeney’s service dog. He has a dog to keep his panic attacks away and assist him when he falls. Service dogs detect symptoms before they occur and can be trained to do a number of tasks for their master. My heroine Isabella is afraid of dogs. So this creates an interesting dilemma. I wanted to choose a breed I love that is intelligent and gentle but he needed to be misunderstood. Looking at me as I typed my story was Kreeper, my son’s well-behaved, well-trained gentle Razor Edge bully pit. He is one of 265 breeds of pit bull. When he is trying to persuade you to feed him your popcorn, his pleading looks can melt your heart. But he can be alert and stand between you an impending danger. He thinks he’s a lapdog and often takes up the whole couch to snuggle next to any of the family. But I wanted Brutus to be kind of a mystery breed so I chose his heritage to be 50% German shepherd. They can be service dogs or guard dogs and are often used by the police. I wanted a macho dog for my wounded warrior. Some of you may not care for either breed. This is fine with Brutus because he’ll win you over as he does Isabella. Again I went online to find pictures to create my composite. I found pictures of both breeds. When I googled Shepherd pit mixes I got these adorable creatures. Brutus has Kreeper’s temperament and like all service dogs had been well-trained to work with his master. He is attentive to him first and foremost. For those who question my choice google the top ten vicious dogs. Dachshunds and Chihuahua are number one and two with larger breeds further down the list. Along with my son’s pit we have a dachshund living here, as well. The little one is more likely to have aggressive behavior toward a stranger entering our home. The large dog may injury you with the enthusiastic wagging of his tail. When I envisioned Dan’s service dog I saw our pit bull and knew his bred was getting a bad rap so why not go against the norm of a golden retriever or a lab. A well-trained dog no matter the breed is a wonderful pet and companion. By making him a mix breed we concealed his negative identity until after our heroine discovers how loving he is. Fiction heroes need time to woo their readers even the furry variety. What is your favorite breed of dog to read about? If you enjoy reading my blogs please click the button to your right to subscribe. Monday I shared a new technique I was exploring to create my characters for the novel I’m working on during Speedbo. I shared a compilation of pictures I found on the internet to create my hero Dan Sweeney. Now I want to show you a collection of pictures I found to help create my Hispanic heroine. American Ferrera has Isabella’s body type. This woman has her complexion. 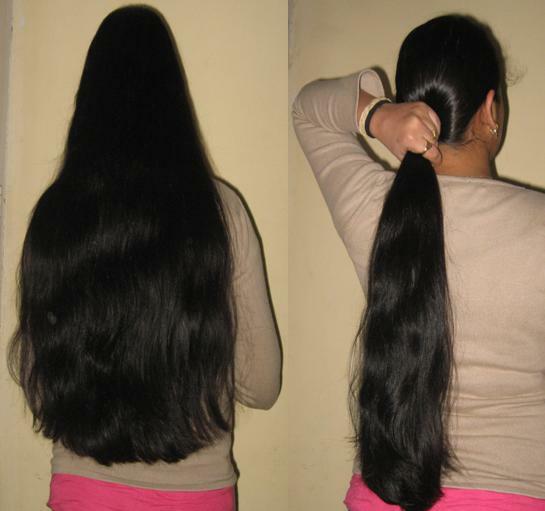 She is five foot two from Guatemala, adopted as a young girl. Isabella Wilson is starting over after the death of her husband. She gets a make-over cutting her hair short. Shorter style for her new beginning. Victoria Beckham has a style Isabela liked. She enjoys wearing three inch heels. I am a practical footwear person myself so I went virtual shoe shopping to find what Isabella liked. Fortunately she doesn’t go for too outlandish of a style. Three inch heels help her feel more in control because she is so short. She went a little crazy shoe shopping. I found perusing photos on the internet really was an interesting way to get a clearer picture of my characters. Keeping the photos handy as I tell my characters’ stories. References to their appearance chapter by chapter remains the same. What techniques do you use to help create a character? Do you virtual shop for their clothes? If you enjoy this post and would like to continue following me click the button on the right. Choosing your characters’ looks is always a challenge. As I work on my Work In Progress (WIP) I want to picture my characters. I tried something this time a few writers use to keep themselves focused on their characters. I searched for pictures on the internet to refer to as I write. The process became a bit of a challenge. There wasn’t one photo that fit the image I’d envisioned. I thought I’d post the three pictures I used to help me create a compilation character. It took a bit for Dan Sweeney to reveal himself to me. Even his name changed once we got acquainted. Dan Sweeney didn’t like the name Joe Martin. I guess Joe was a bit of a cliché name for a soldier. 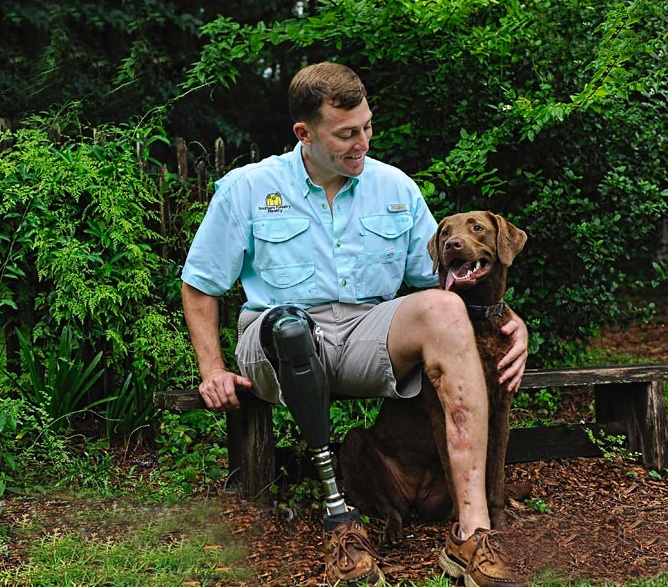 Dan is a wounded warrior with a prosthetic leg. He is blond and blue eyed. Looking through hundreds of photo sites, I found this soldier. Photo one: Interesting. right hair color and eyes. Find a picture like this for your character. But Dan has scars and a missing a leg. So I found this photo. 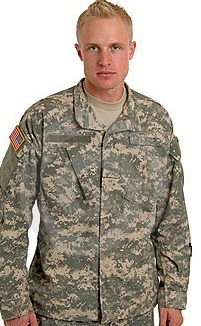 Photo 2: Wounded Warrior wrong hair color though. Other characteristics from a second photo. Which gives me lots of interesting possibilities for my story. Dan has a scar on his jaw and neck so he grew a short beard and longer hair like the character Detective Marty Deeks of NCIS LA. Photo 3: Eric Christian Olsen has the hair and beard I envision. 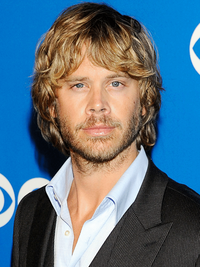 Eric Christian Olsen’s press photo is the perfect inspiration for my character. Now I imagine a blond haired blue-eyed wounded warrior. He is 6 feet 2 inches and has to-die-for dimples partially hidden by a short trimmed beard. He has two missing fingers on his right hand, the pinkie and ring finger. And of course his prosthetic starts just below the right knee. Can you envision him too? I’m sure you have the perfect imagine in your mind based on your own creative imagination. As you read a novel, you’ll have your own image of a character that will carry you through the entire novel. As a writer it is important to keep the image in your head so he doesn’t suddenly grow a few inches or scratch freckles on his nose that weren’t there a few chapters earlier. The characters’ pictures should be posted in a prominent place to refer to as you write both to inspire and speak to you as you create their stories. On Wednesday I’ll post my heroine’s photos. How do you find inspiration for your character’s appearance? Don’t forget to click the button on the right if you want to follow my blog. 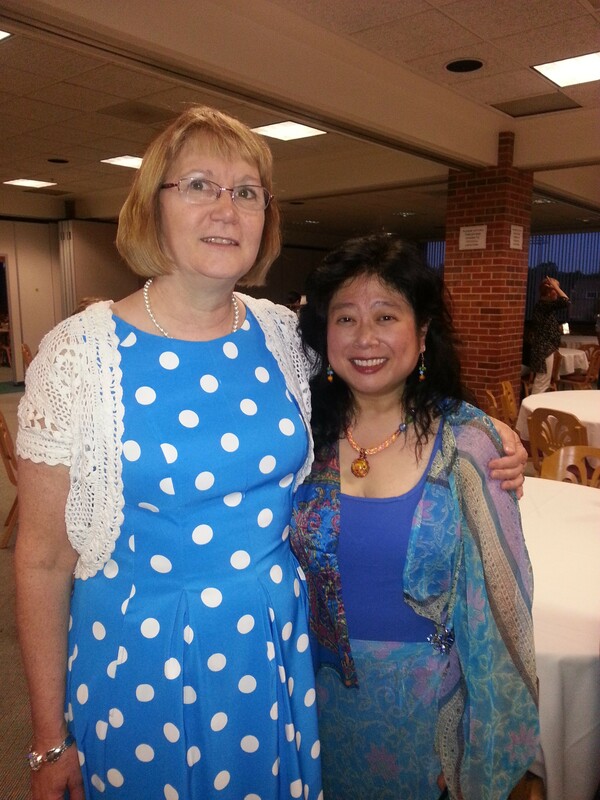 Rowena Kuo is one of the wonderful editors full of encouragement for writers that I meet at Write-to-Publish. Right in the middle of Speedbo I have no time to blog. So today and Wednesday I am reposting two post about Writers Conferences. A subject near and dear to my heart. My first conference changed my whole attitude about myself as a writer. So, here you go. Hope the reminder helps encourage you to attend one. Every time I attend a writing conference I am reminded of why I write. My encouragement to every writer, no matter their age or experience, is to attend conferences. There is never a time in your writing career that you evolve out of writing conferences. It is a place to hone your craft and network with other like-minded people. You gain knowledge of the business of writing through workshops and classes which cover a variety of subjects. Basic techniques for writing non-fiction and fiction books are usually offered. Classes are available on subjects ranging from writing articles to creating a stellar proposal. The opportunity to have appointments with publishers, editors and agents to pitch your story or idea is worth the price of the conference. Many of these editors, publishers and agents will not take any unsolicited submissions. But if you meet them at a conference, your pitch may garner you an open invitation to submit. Arthor Cynthia Ruchti not only was such a wonderful encouragement on my writing journey but she autographed her novel for me. 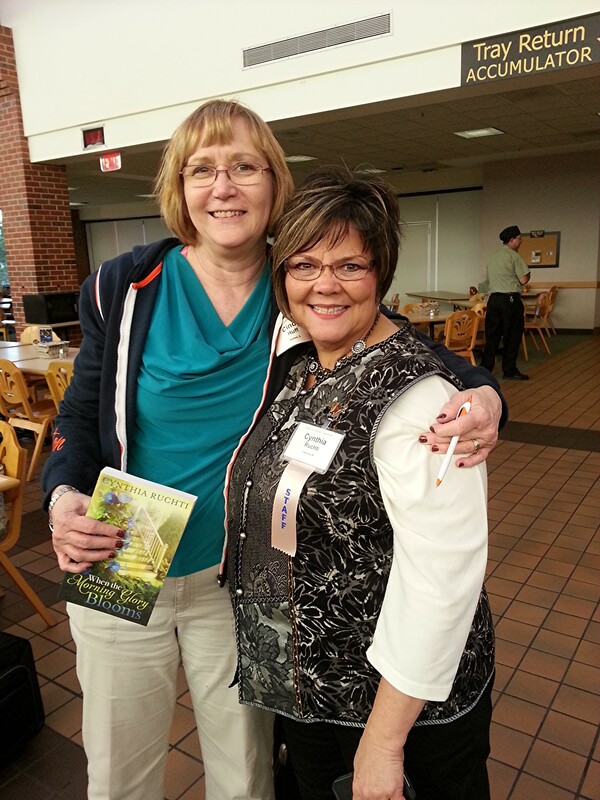 Conferences are a networking opportunity to meet other writers and be encouraged. One writer might direct you to a particular publisher who is seeking what you are writing. Established writers may give you personal introductions to the professionals you are seeking appointments with. Fledgling writers ask questions of other writers and get the encouragement and direction needed to turn their scribbles into successful submissions. You’ll discover writers who live in your area or a local writer’s group to join. This is the place where everyone speaks your language. No one rolls their eyes when you say you’ve written a novel. You can practice your pitch with other writers before you pitch it at your appointment. Most conferences have critique groups of your peers to help you improve your writing. Unlike Aunt Sally who loves everything you write, they can tell you of any red flags in your writing that need fixing. That kind of encouragement makes the road to publication easier. The keynote speakers remind writers of their calling. A writer’s revival if you will, that helps each writer refocus. Rekindling the confidence that has been chipped away by editors’ rejections and life happens interruptions. Every time you attend a conference you make new friends and reconnect with old ones. Writer friends add dimension to your life and open doors. Becoming friends with publishers that may not be interested in what you are writing now plants your name in their mind when the publisher’s needs change. 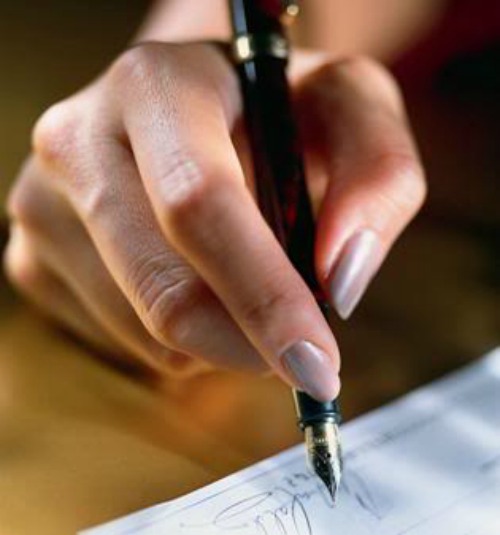 Acquisition Editors change publishing houses, agents may open their own company. Having made their acquaintance puts you in a good position to become a client. Writer friends share the link to your new book or article on their blog, website or facebook page. Let’s not forget they are there when you feel stomped on by life and misunderstood in the industry. Serious writers know this is an important business expense. Decide on the conference you plan to attend early and put money aside in your budget for it. If your finances are so tight you can’t fit the cost in a monthly budget, apply for scholarships or grants. Conferences will offer a limited number of scholarships, either full or partial to attendees. Some offer work scholarships for locals who help with the preconference preparation. Do a Google search for writer’s grants or reference the Writer’s Market Guide and the Christian Writer’s Market Guide to pursue grant leads. The e-newsletter Funds for Writers has grant information in every issue. The Sally Stuart Conference Guide http://stuartmarket.com/Conferences.aspx is a great resource for finding the conference that is right for you.tion in every issue. Why do you attend conferences? Here is another repost this week for preparing to attend a writers conference. Its not to early to start preparing for those coming up this summer. Hope you find these tips helpful. 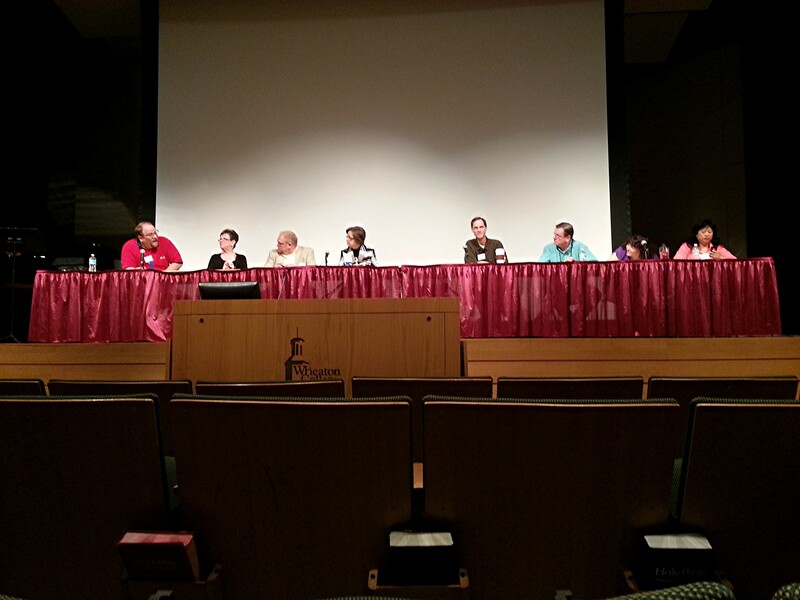 Before you attend a writers’ conference there are some things you need to do to prepare. Research all the publishers and agents attending the event. Go to their websites and get to know them. Decide which ones you want to have appointments. Have a clean copy of the first chapter of your manuscript or article. Prepare a memorized pitch—a short description of your story idea that can be said in 90 seconds or less. Be brief but concise. Memorize it until it flows smoothly from your tongue. Have written proposal. There are usual guidelines on the individual websites as well as many books available on the subject. Clips—samples of other published work- if you have it. Magazine editors are interested in these. Bring a business card. Minimum content your name and email address. Better with a headshot and website, blog and other links. These you will exchange with other writes and give to those you pitch too. Doing these things ahead of time prepares you for whatever the appoint time morphs into. Some pubs want a pitch others want to see a sample of your writing. Don’t waste the individuals time pitching something their company does not publish. This screams amateur. If the conference offers a panel of editors—attend that session. You will get the latest updates on their needs which could change you initial list of who to have appointments with. Be open to criticism. One meeting may bring you rave reviews another may leave you feeling like the worse writer on the planet. Don’t be late or an appointment and don’t go over you allotted time. Keep your criticisms to yourself. If you are having a bad day don’t rain on others great ones. Your next appointment or workshop maybe the very thing you need to turn your attitude around. I heard a great idea at the last conference I attended. One young lady set appointments with agents and publishers to ask questions. She had nothing to pitch but wanted to know more about how these professions worked. It gave her a feel for how to approach them in the future when she had something to pitch. She made contacts who would not be strangers when she pitched her stuff later making her less nervous. Be prepared to return home and work. Work on proposals that were requested. Work on articles, not to mention perfecting those three chapters. Or work on rewriting, reworking and resubmitting based on the things you learned and the input you were given. I’d love to hear your tips on maximizing your conference experience. Please click on the subscribe button to follow me. A memory from earlier writing days came back to me when I read these quotes from Mark Twain someone had recently posted on Facebook. If you appreciate his humor, you’re laughing. 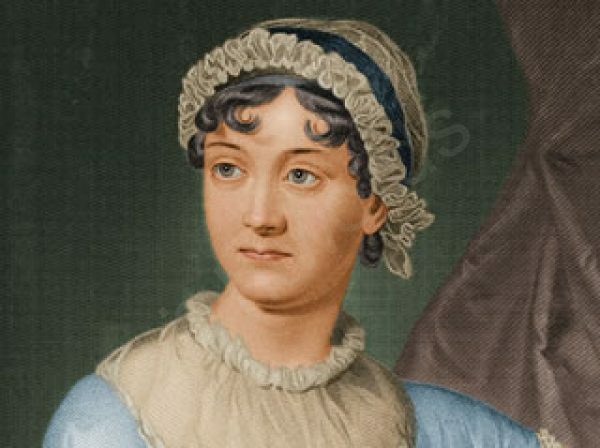 If you adore Jane Austen, you are probably glad the man died ages ago lest you beat him with a shin bone. I found a more interesting lesson here. Reading Twain’s quote reminded me of a time in the 90’s when a dear friend introduced me to her daughter. She wanted us to meet because we were both writers. Her daughter had been published in the United Kingdom where she had been living for several years. When I inquired what she wrote the conversation went something like this. “What do you write?” I’m sure her lips were in a firm thin line. Yes she really did say that. And yes my hackles were up. I assume we managed to have a civil conversation. I vaguely remember she explained to me how she reprogrammed the number pad on her computer for Gaelic accent marks. I don’t recall her name. Perhaps she was an award winning writer and sold millions of copies. In retrospect it should never have been about who wrote the more noble subject matter. It wasn’t about who was the better writer; it was about preference. Not only what we preferred to write but where our passion was. Our passions were polar opposites. There are readers from all walks of life who enjoy our passion driven words. As writers we do no one any good by threatening to hit another author with a shin bone. We need to exercise grace in regard to our differences. Horror is still not my genre of choice. But I have learned from Stephen King about writing. Having reviewed a few horror books, I have grown to appreciate their value. Ted Dekker never ceases to get his readers to think on a deeper level. The experience has broadened my reading choices to include intriguing stories in science fiction and fantasy. I am not sure what exactly Mark Twain didn’t like about Jane Austin’s writing style, and his remarks obviously didn’t stop readers from purchasing her books. (FYI: They were not contemporaries. 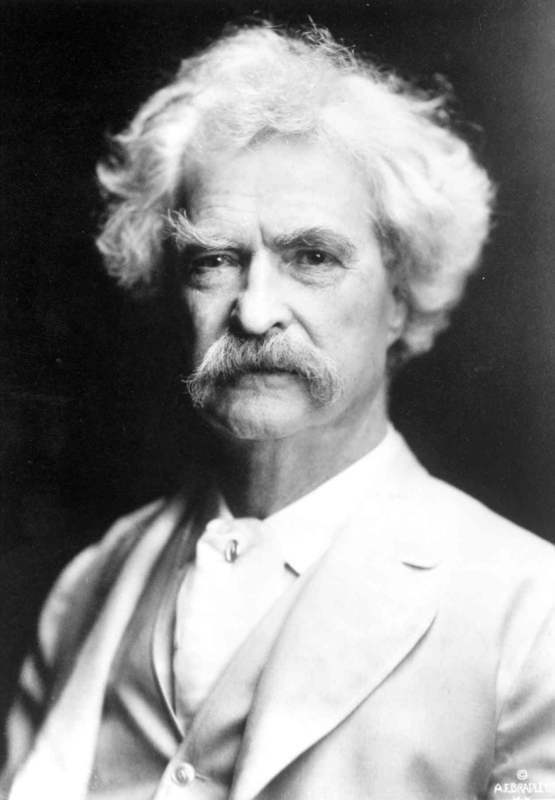 Twain was born twenty years after Austin died. ) Had they been contemporaries his remarks might have put a wedge between them. Thinking about his words I realized I missed a great opportunity. If I had been less offended by the horror writer’s genre, perhaps that writer and I would have developed a lifelong friendship. Perhaps I might even have learned something about the craft of writing from her. Or she might have discovered writers of Christian fiction who don’t use crayons and opened her own horizons to new possibilities. If you’d like to continue following my blog I would be delighted if you would click the button on the right. Please leave a comment I love hearing from readers. 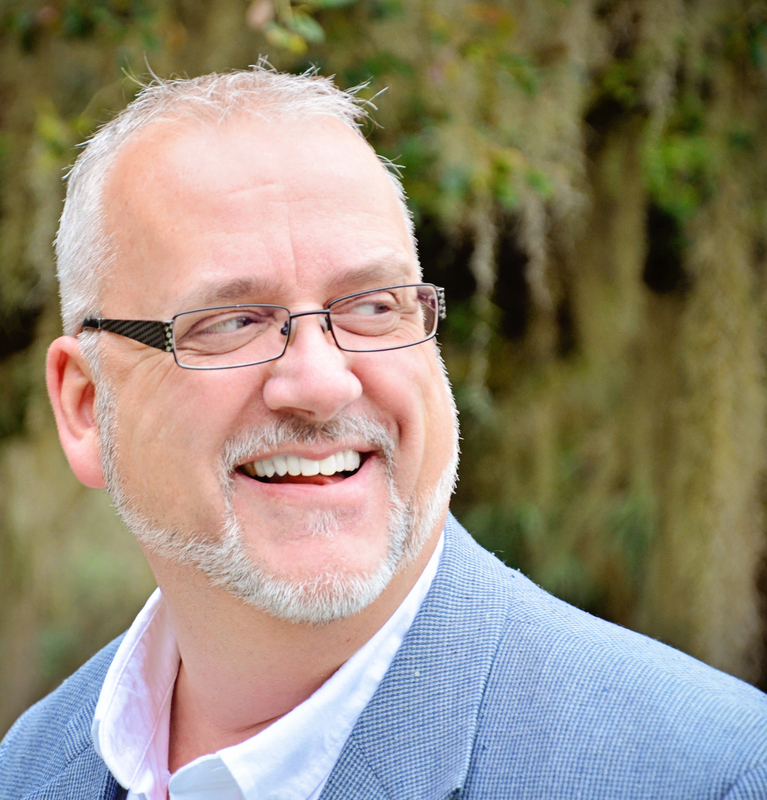 I am excited to welcome my friend Tez Brooks to my blog today. He is a fun guy who loves the Lord and has a passion to help single dads navigate life after divorce. He shares from his own experience in his book The Single Dad Detour. Each chapter is filled with practical advice and travel analogies as an aid to helping divorced father’s pick up the pieces of their lives. There are lots of scriptures, personal examples and other guys’ stories to make each point he shares come to life for the reader. Thanks for taking time out of your very busy life to make an appearance my friend. Take a seat on my comfy couch and let’s get started. Tez, share with my readers about yourself. You know, the usual stuff, where you live, job, marital status and other things you think my readers should know about you. My wife and I live in Orlando. I remarried 13 years ago and we have two little girls as well as two grown kids from my first marriage. Christine and I are full-time missionaries with The Jesus Film Project (a ministry of CRU). I write films that help introduce unreached people groups to Christ and disciple them. I really struggled for several years wondering if I should write this book. I didn’t want to go there again, but the Lord started working in my heart and I remembered how there just wasn’t anything out there for me when I was going through my own divorce—especially with a Christian worldview. What was available was too preachy for me. What do you hope is the take-away for readers? I’d like them to walk away encouraged to keep going strong. To understand the Lord is on their side. I want to challenge them to step up as a man, yet still offer hope and the grace to be able to laugh at themselves when they aren’t perfect. There’s too much pressure as it is. If dads can celebrate what they’re doing right, while still leaning desperately on the Savior for hope, it will make the road they’re navigating much easier. 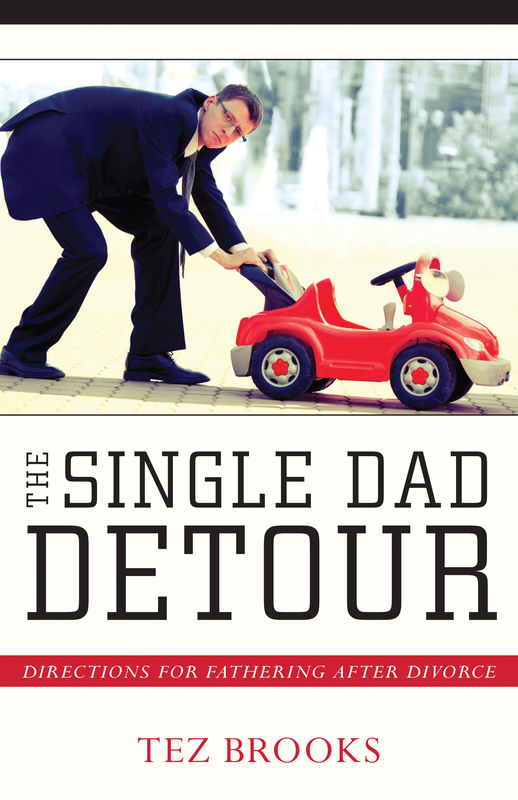 How is The Single Dad Detour different than any other books out there for single fathers? I tried to write something that would encourage guys with a little humor and offer some practical advice. There are way too many books for dads written by someone with a PhD. I really wanted something for the Joe Blows out there. Blue collar guys, who aren’t crazy about reading but need some hope. I tried to add a lot of humor by laughing at myself. I made some pretty dumb decisions as I raised my kids through those single years. Finally, I think the action points and the suggested prayers at the end of each chapter help dads have something to think about. I even included a few QR codes for younger dads who like to absorb content from several avenues outside the book itself. What kind of research did you do to sharpen the content? In addition to hours of internet research on single parenting, I interviewed a lot of single dads from around the world. Not just divorced men, but widowers and never married dads too. I felt it was important to give readers a well-rounded view, rather than just a book full of my own experiences. Although, there’s a lot of my own story in there. I appreciated this book so much and I am neither male nor divorced. What value do you feel women or married men might get from reading your book? Well I’m sure more women are picking up this book than men. They are buying it for a guy they know (maybe their son, brother or nephew who is a single dad). Maybe even a few girlfriends are finding it helpful as they begin dating a single dad. But yes you’re right about married men too. I think any dad will find it useful as they try to navigate through parenting. These issues I address are not exclusive to single fathers. These are common issues that every single dad (no pun intended) will find useful. These things like our health, self-worth, our identity in Christ, how to shepherd our kids, even cooking and house-keeping issues—all are topics we struggle with as parents—married or not. What makes you the best person to write about this subject? You know, I’m not. There are guys sitting next to me at traffic lights that I’m sure are more qualified. I could say it’s my experience with being both a custodial and non-custodial dad. I could say it’s because I was a single dad for 7 years or that I survived blending a family when I re-married. While it’s true I have 4 kids and almost 30 years of parenting under my belt. I didn’t approach the book with that in mind. I’m just a regular dad who screws up even today, who wants dads to be encouraged and filled with hope to press on. They need to laugh at themselves and not be scared of failing from time to time. Single dads are under incredible scrutiny and pressure to perform better than the average single mom. The world doesn’t have much grace for guys going it alone, but God does. Dads, he’s in your corner and he’s cheering you on. Writer’s Patchwork focuses on helping other writers. So I want to ask in your opinion when is the best time for someone to write something of a personal nature? I know you didn’t write this while you were going through the process. That’s a great question and I think it’s different for everyone. I waited 17 years. Honestly I would not write from anything painful for at least 5 years after the event is resolved. That being said sometimes that resolution takes decades. You need time to process and to see what God’s bigger plan was. You need that bird’s eye view. I’ve read a few books where it was obvious the author had not given himself or herself time to heal. When you’re writing from pain it’s vital to get your work critiqued by other writers who can be honest with you and point out places that may appear too raw. That may mean re-visiting some of those memories and working through some things you thought you’d resolved already. But that’s the great thing about trusting God. He is bigger than all that and he knows often times, our greatest healing comes from writing about and struggling with our past. I always ask my guests to share the most important thing or two they have learned on their writing journey. Surround yourself with successful writers and avoid the naysayers. I once spoke to a group of writers about the importance of choosing your friends carefully and being cautious about who they share their dreams with. Joseph, in the Old Testament told the wrong people his dreams and he ended up in some very difficult places. Not everyone is excited or happy about the dreams God places in our hearts. Writing can be a lonely place if you don’t find a community of like-minded creatives who desire to cheer you on and love to see you succeed. Ask the Lord to bring those people into your life while intentionally seeking out those circles. Before Tez and I part company here is my last comment on my friend. If you would like a chance to win a copy of The Single Dad Detour leave a comment with your email address. This is a great gift for the single dad in your life. Don’t forget to click the button to your right if you’d like to subscribe to my blog.